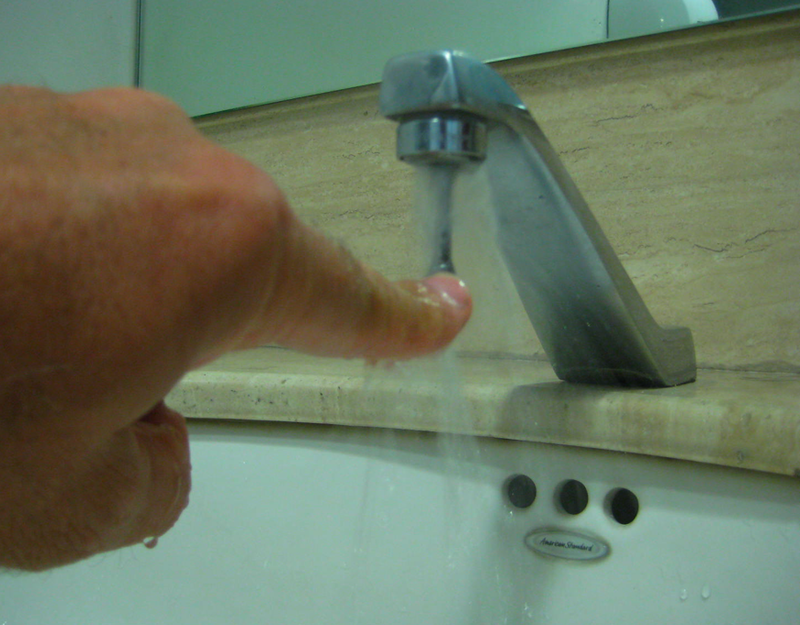 Continuing our theme of systems thinking and the need for a new aesthetics - oh, what the heck, let's talk about taps. 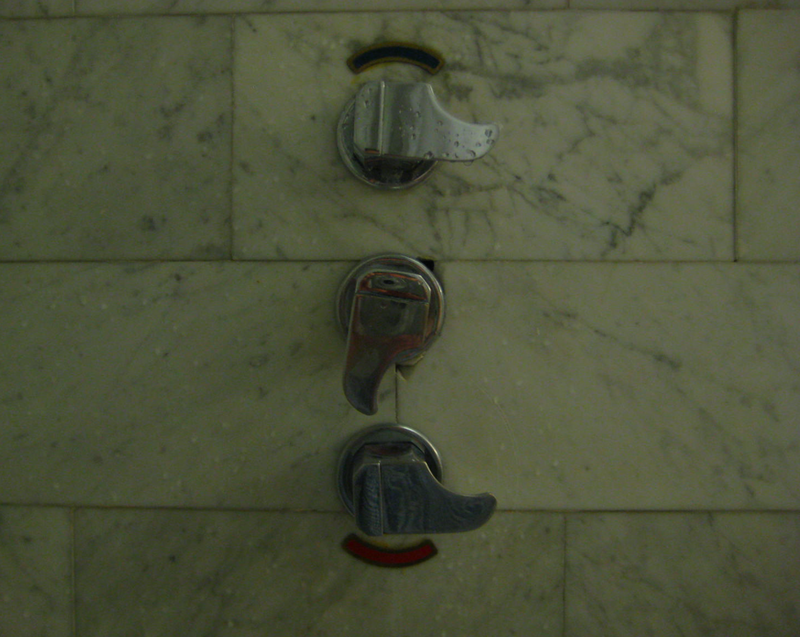 I have encountered many wonderful things here in Mexico, but these taps are not among them. After nearly a week, I still have no idea which I am supposed to turn them to achieve the desired effect - or any effect, come to that. The tap below, on the other hand, is a revelation. Yoy learn to press the little lever *just so*, and get just the water you need, with no waste, no scalding, and no stress. Thankyou Mr or Ms Mexican tap designer for this breakthrough.